From a developmental perspective, time out is a last resort means of discipline for children acting out in an unsafe manner. Before resorting to time out, we used re-directives away from the unsafe or inappropriate behavior into a safe activity that satisfies the child's demonstrated drive and impulse. As a preschool teacher, I corrected children first by redirection. If the child continued to act out in an unsafe manner, we would bring them inside and choose a "grounding activity" as an initial approach to time out. This directive usually produced the desired results. If a child was having a hard time with self-control, close to lunch time, we would take the child to the kitchen for a snack in case the child was hungry. The child would have crackers or sample lunch cooking in the kitchen with our cook. 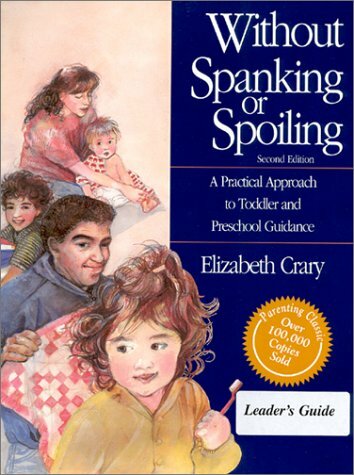 In my teaching, I also saw a pattern of parents using time out as an alternative to spanking. This re-directive was understood and interpreted as an alternative punitive measure, instead of a different philosophy of discipline. For the teacher, we had to see it as a lesser of evils and gradually try to work with the parent using time out as punishment. As difficult as it is to watch timeout used as a punitive measure, I have had to accept that it is an evolved step from striking children. For a tired parent, it is a quick fix to use time out in a punitive way. It is not an easy sell, for the educator to impress the more effective long-term benefits of timeout being used as learning tool or coping mechanism. Time out, was created as a tool for the educator and a coping strategy for children to learn. Timeout was created, as one of many tools of discipline, on the basis of child development and laying the foundation for anger management. The original purpose of timeout is not punitive or a forum for shame and ill consequence. This use of time out is just the old school archaic “stand in the corner method. The true purpose of time out is to take the child out of the situation that they are having excessive difficulty with. For the most part, it is a way to keep the child and their peers safe, after all re-directive efforts have been exhausted. Timeout teaches the child how to walk away from situations that are not working, thus empowering them to cope in tough situations. Timeout is genuinely intended as a firm measure of discipline when other methods have been exhausted. It is important to consider that timeout is effective only when used infrequently. When executed as a positive non-punitive method of discipline, time out can serve as a guided coping mechanism for children. It is a directed basis for anger management, self-control, and a tool of distancing oneself from a situation. We often refer to a 'cooling off period' in the adult world and developing child, by virtue of their stage in life, can especially benefit. Once an adult has consistently guided them through timeout, children are empowered to electively choose timeout. If timeout is punitive, it becomes a negative and intimidating experience as opposed to a useful and positive skill; a self-help skill that can help them to cope with uncomfortable situations. Another important aspect of Time-Out is ensuring that it is as individual as possible. For example, when I worked in a preschool, I had a 4 years old boy who would sometimes become overwhelmed by rough play, with his peers, to the point where he would lose sight of safe boundaries. I knew him well and we had a positive rapport. My instinct spoke to me one day and I gently took hold of him and sat down on the nearest bench, holding him in my arms, as he naturally assumed a fetal position. This became a regular routine, when he would become over excited and lose self-control. It was such a catharsis for him that all I had to do was say his name, then move in close and he would climb into my lap and assume the fetal position. Sometimes he would even seek me out on his own recognizance. Parents can also model time out for stress and anger management. If a parent feels their patience and positive parenting begin to weaken, they can walk away and initiate their own timeout. This is more easily accommodated in a classroom situation where there are several staff members. Above all timeout needs to be positive, used on a limited basis, and implemented as a coping mechanism, as opposed to a punitive imposition. If children associate timeout with a negative punitive experience, they will not be able to use it as a tool.